Arvid Falk is a struggling young writer in Stockholm. He has quit his job within the civil service, which isn’t approved by Arvid’s much older brother, Carl Nicolaus, who is very unlike Arvid. Becoming a writer is hard, but it pays off with new friendships with the radical struggling artists and they invite him along to the Red Room. 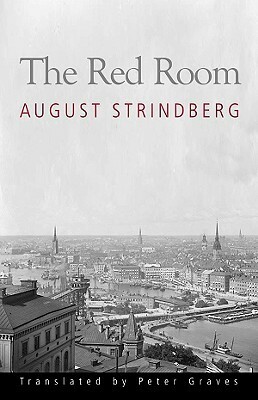 The Red Room paints some excellent portraits of characters and it is very witty. I was surprised how easy it was to read the book, and the language was really enjoyable. I suspect it must be the work of the excellent Norwegian translator, Per Qvale. I wonder if the English translation is as full of excellent sentences and choice of words. But sadly it isn’t a story that sticks. Already two days after I finished it, I have problems recalling it. I do remember how I felt while reading it, but only very vaguely the plot and I have trouble remembering the names of the characters. Yet I know that it was a good read. This was May’s read in Line’s 1001 books reading challenge.